My first novel came out exactly a year ago. A sweet book with two teen protagonists, it explores addiction and spirituality on the streets of New York City and the red canyons of the desert Southwest. A year ago, paranormal romance was trending, so Edges didn't come out with the BANG! I had hoped for. Still, I was/am incredibly fortunate to have been published in this exciting technological era where all of the rules are changing. I am ecstatic that I finally gave myself permission, albeit slowly, to write, and that I have become the person I was meant to be: a writer and a teacher. I believe that everybody has the right to write - if they want to. Everybody has a story to tell, and we don't all have to be Shakespeare. The most important factors to becoming a writer are passion, practice, discipline and a little bit of luck. In terms of luck, is it "lucky" to be the eldest granddaughter of Madeleine L'Engle? Of course it is! But it is also a double edged sword. It might make people listen for five seconds, but it also sets up unrealistic expectations. (And that's not the reason I was published.) I have to sink or swim on my own, I have to have my own authentic voice. Many of you know that I have had to table my second book, a companion to Edges called The Land of the Lost and Found due to "lackluster" sales of Edges. (And people, anything short of a best seller is lackluster these days.) 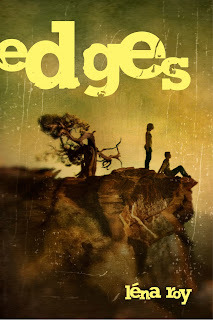 I am happy with the sales of Edges, happy that it is being read. The strategy is for me to move onto another publishing house with something new and fresh, and then publish The Land of the Lost and Found, timing it with the paperback release of Edges. Makes sense, right? I will celebrate my anniversary by going to the gym, and by throwing myself into revisions. And I think it's a good excuse for another contest, don't you? Since it's the season of giving and all. I have one book (signed of course!) and an audio to give away. And bookmarks! (Everyone who enters will get a bookmark.) You will have multiple chances to have your name in the lottery. 1) Leave a comment . . .
5) Give this blog and/or Edges a shout out by re-posting on FB or re-tweeting. Hey, why not both! I will announce the winner on Thursday, December 15th, so that it will get to you in time for Christmas. Lena, that you manage writing and teaching as well as intentional and proactive parenting is both making your own path and (in the best way) following in your grandmother's significant footsteps. Happy anniversary! Hi Léna! I "liked" Edges on facebook and I already follow you on twitter. Would love to read your book. :-) Happy anniversary! Lois - thank you for your support and kind words! Hi erstebbins - thank you for commenting! You have quite a fair chance of "winning"! I so look forward to your growth in 2012! And I look forward to more incredible work from you! Great book, and great author! It's a bestseller in my heart! Counts for something right? I have all but the follow on twitter! Blog review hopefully coming soon if I find adequate time to re-read and wrote out the review, Hopefully before the year is out! I would love to win this book! I just discovered you and your blog and can't wait to read it! Hi Ian - you are the sweetest! And Melissa, thanks for saying hello and entering! I am so excited to read your book. Where is it being sold? Thank you Kelly! And I'm glad you like my tweets - I barely know what I'm doing! Great contest! 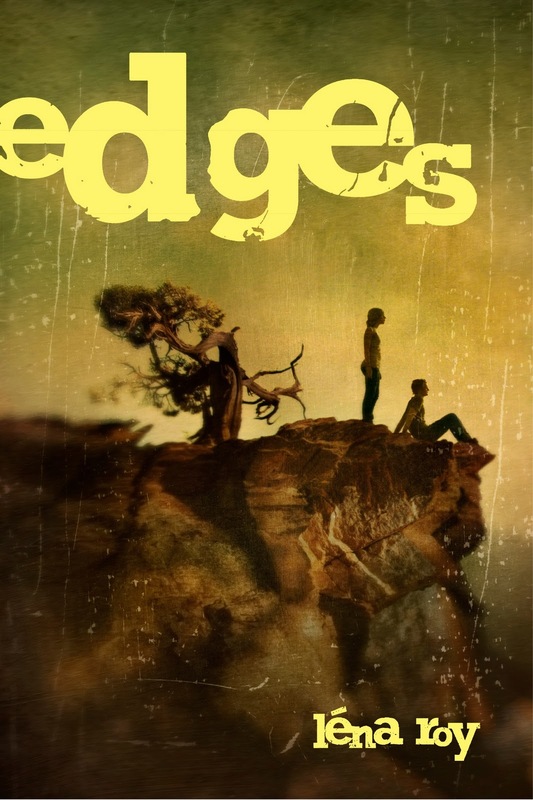 Happy birthday to EDGES. Sales figures don't diminish that it is an inspirational book. I love it, so much so it's on my bookshelf surrounded by TUCK EVERLASTING, Grimm's complete fairy tales, THE WITCH OF BLACKBIRD POND, Toni Morrison, and Elie Wiesel. In my house, that's the row of champions. Australian lotto results It's very useful to use if you want to increase your profit!